PRINCETON WV-3 yo b&r intact m,owner died, severely stressed needs out of shelter!!!! This is him with his favorite person Elizabeth. She turned him loose in the field and he played retrieve with sticks. As you can see he's not an aggressive dog... he does need someone who will give him some guidance and rules.. but he's a very nice boy. Such a handsome boy! I wish you luck in finding him a good home. We have a member here who I believe is in VA and heavily involved in rescue. Lots of connections. I agree he needs to get out of the shelter. Smitty was the same way, became cage aggressive and it almost doomed him too.....he was pulled literally a few hours before he was to be euth'd. What a beautiful boy, and obviously just super stressed in an incredibly stressful environment. I so hope someone can pull him quickly. 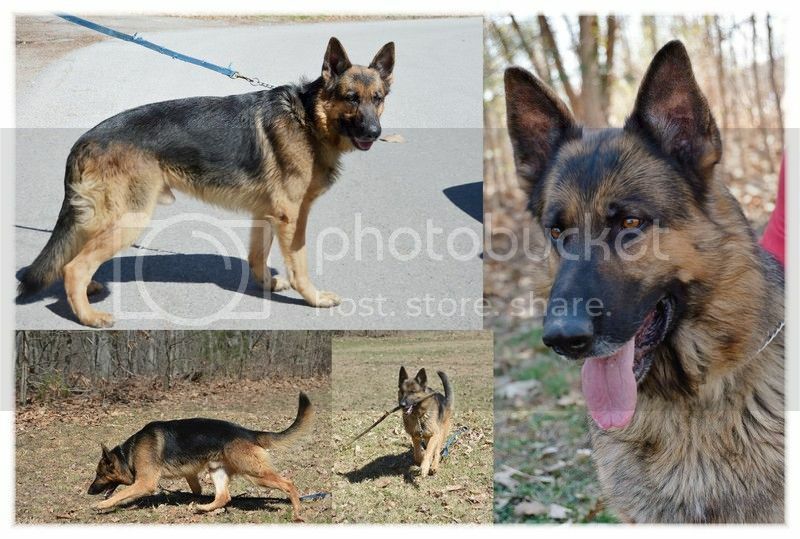 I am in SE Ga and would take him, but he'd have to stay in an outdoor kennel on the 3 days a week I work and I only have one outdoor kennel at the moment for my GSD. This shelter is now making a list for dogs well past their hold time that will be euthanized. All are medium to large sized dogs. I have no idea what's in Buddy's immediate future if he remains in the shelter... they won't keep him indefinatley. I realize he has to go to a suitable home or rescue and those are in limited numbers. If you have had any interest in this boy and can provide him with a suitable home please keep him in mind. Is there anyone on here in the Newark Delaware area? Please pm me if so... i'm trying to get a phone number of his breeder who I believe is in that area. Such a beautiful dog. So sad. Praying he gets out of that shelter.